Eyelash packaging are like clothes for eyelashes. 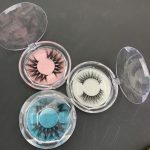 With good-looking clothes, the level of mink lashes will increase a lot.Next, I will introduce you some beautiful styles of lashes packaging. They are shaped like a beautiful big diamond. Diamond is the beloved thing of every girl. It is used on the ring of marriage proposal, which symbolizes the bridegroom’s firm love for the bride. No girl will reject it. 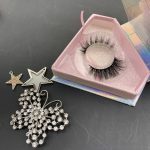 When a pair of beautiful eyelashes are placed in a diamond eyelash box, it seems to have become a princess sleeping in the crystal, attracting people’s eyes. 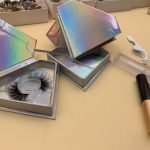 About the diamond eyelash box, we have a lot of materials to choose from, and we can print your logo on the box. 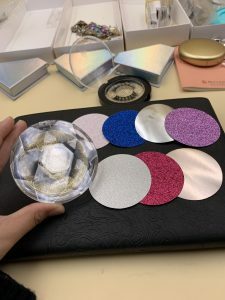 The first style is a fully transparent round crystal case. 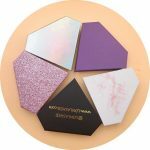 The crystal symbolizes purity, and the bottom of the case can hold a lot of different colors of the bottom card, such as pink, purple, green, yellow, each color will turn the case into a different feeling. 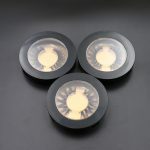 The second is a black case with a round transparent window at the top that clearly sees the inside of the eyelashes without opening the lid. 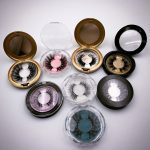 The third is a golden case with a mirror，It can be used as an eyelash case or as a makeup mirror. Especially when you go out with it, you don’t need to bring a mirror, it is very practical.